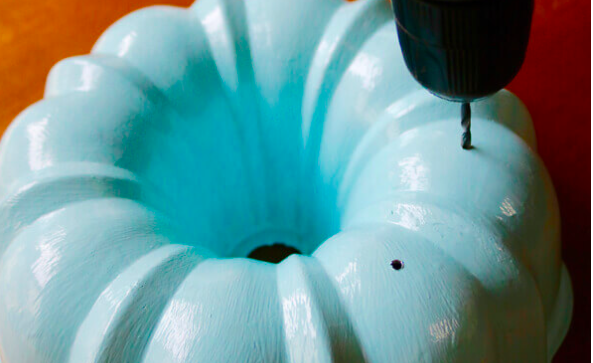 She Paints And Drills Holes Into A Bundt Pan For A Super-Cool Re-Purpose! I think pretty much every one of us has an old bundt pan hidden in cabinet somewhere, right? But when was the last time you actually baked a bundt cake in it? Maybe the day has come to dust it off and put a nice coat of paint on that baby! This has such a cool vintage and earthy look. Find out exactly how to make it over at home jelly. All the deets for this project and so many others over there. 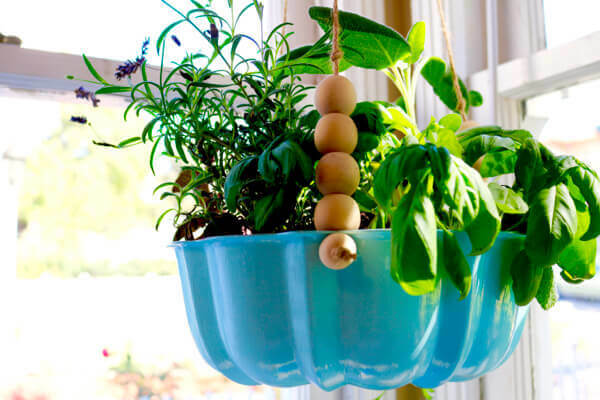 How have you upcycled baking supplies? Brilliant idea. I’m going to make this.